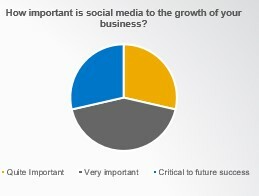 Are partners leveraging social to drive new business? Three out of four B2B customers rely on social media to engage with peers about buying decisions. 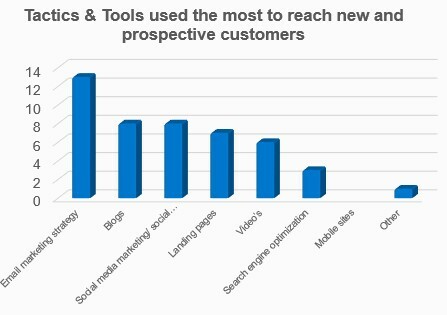 More than half of customers say social media plays a role in assessing tools and technologies and when making the final selection[i]. Everyone’s talking social as the way forward to increase your network, build influence and business opportunities, but in reality just how much is it driving new business? 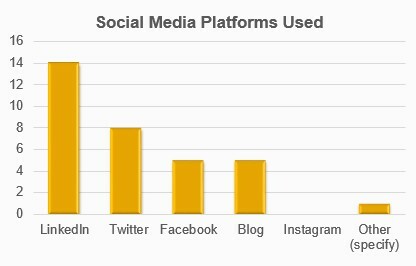 The most commonly used platform to build new leads is LinkedIn, followed by Twitter. Partners are using LinkedIn daily to build pipeline opportunities. In the business world, LinkedIn and Twitter tend to feature highly as a medium for reaching other influencers, for their ability to network and engage like-minded target audiences. Facebook, on the other hand, is seen as a channel to drive brand awareness and has yet to be proven in supporting the B2B sale. While Blogs are a fantastic way to share thought-leadership in a non-salesy way and prove real benefit in demonstrating expertise and in helping to raise awareness. However, the draw-back could be seen as the time required to create the written blog – plus the perception that you need to have an original idea or though or opinion to share, with the reality being that it is ok to share and collate other data and ideas to create your bog post, so you don’t need to be 100% original in your outlook. We asked partners to tell us more – what are their reservations? From our experience, we have found that many partners identify this as the way forward but need to better understand how to drive social selling, the tools and processes they need to put into place to really benefit their organisation. Encouragingly, some partners concluded by saying that they didn’t have any apprehensions about social selling after the SAP forum. Email marketing is still the most common way to reach customers, with most customers citing this as the preferred medium. Interestingly, SEO also featured pretty low in our survey as a priority, way below the development and promotion of assets. It was pretty surprising as one of the first places you’ll research about a new product or services is via your search engine. Here you’ll find access to the company website, social channels linked to the company, reviews, recommendations and news. This all helps to influence the buyer – remembering three quarters of buyers use social media to get feedback from peers about buying decisions. This is why SEO optimisation and tactics like paid-search are important to make sure your product or brand is at the forefront of any buyer’s search. Although the focus has very much been on digital and social selling, partners said that they tend to stick to traditional marketing to locate new customers and prospects. 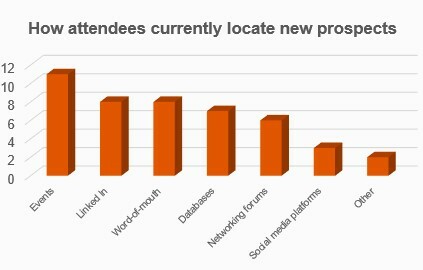 Events stand out as the most common new business medium, coupled with word-of-mouth and databases. Could this be because Social Selling and digital adoption is still in its infancy? Or do partners marketers need to embrace social further to really recognise its value and place in driving new business? As the mix changes between different demand generation tools (calling, events, digital, social, advertising etc) partners will learn and understand the value of a varied approach in supporting sales. However, a word of warning: social and digital doesn´t work if you do it half-heartedly, and so dedicated time, resource and money needs to be invested to gain the best returns. So, our partners are definitely seeing a shift towards greater social selling and demand generation. However, a multichannel approach to marketing, combining social and digital alongside more traditional mediums to reach and nurture new customers is still being developed. It’ll be interesting to see how partners respond to the same questions even 12 months from now. Will the shift towards social selling and digital demand generation increase? Or will we see a plateau and find that the traditional tools will still be important, adding a more personal touch? What do you think? I’d love to hear your views…..
[i] Harvard Business Review article ‘How B2B sales can benefit from social selling’ by Laurence Minsky and Keith A. Quesenberry, November 08 2016, updated November 10, 2016. [iii] Harvard Business Review article ‘How B2B sales can benefit from social selling’ by Laurence Minsky and Keith A. Quesenberry, November 08 2016, updated November 10, 2016.